Colombia Ombudsman on Wednesday claimed that the country is unable to endure any more violence and made an appeal to the ELN to stop kidnapping and killing civilians. According to Ombudsman Carlos Alfonso Negret, it is unacceptable for children having to be forcibly displaced from their homes and should live in a peaceful country, with access to health and education. The encouragements to peace were made during the Ombudsman’s visit to the municipality of Litoral de San Juan in West Colombia earlier on Wednesday. The community of El Carra has recently been the victim of a massacre in which five people were murdered, spurring mass displacement by survivors. Human Rights Watch held accountable both Marxist ELN guerrillas and their paramilitary rivals, the AGC for the tragic events that took place in El Carra four months ago. Negret invited all armed groups to participate in a peace process, however, the Ombudsman urged ELN specifically to withdraw from all violent activities. While the Marxist rebels ELN denied being the authors of the recent massacre in the Western township, local authorities concluded differently. Negret’s incentives for the ELN to relax its warfare activities reiterate the call for same of the Government chief negotiator in the context of peace negotiations between the rebels and the government. 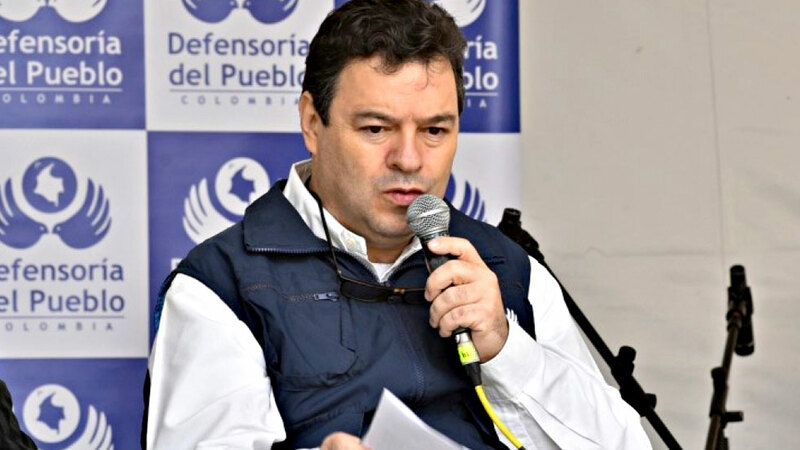 ELN and the Colombian Government have entered permanent talks later in July and both actors had optimistic views regarding an historical agreement on a bilateral ceasefire. However, their views are still to be materialized. In addition to the government’s call for peaceful negotiations, the Catholic Church has also been a public advocate for the ceasefire and bilateral cessation of hostilities between the Marxist rebels and the Colombian government. The call for ceasefire from the Catholic Church comes preceding the visit of Pope Francis which is considered as as opportune event to promote and support the ongoing peace talks. With Colombia’s largest rebel group, the FARC, having disarmed their forces, successful talks between the ELN guerrillas and the government would bring to an end the oldest armed conflict in the western hemisphere.